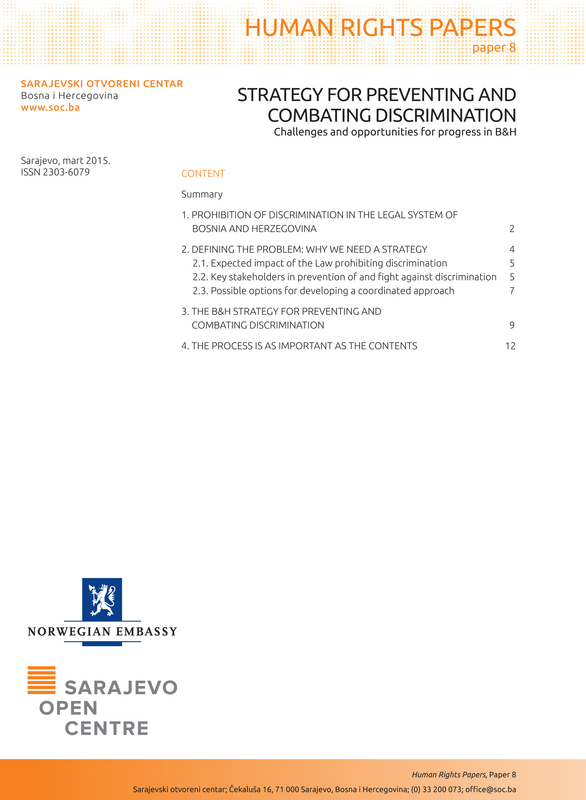 In 2014, we initiated a debate within civil society on the adoption of comprehensive anti-discrimination strategy for BiH. 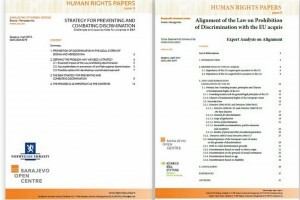 For this debate, we relied on the assistance of experts that were involved in the process of creating and adopting such strategies and action plans related to the combat against discrimination in the Republic of Serbia and the Republic of Croatia. 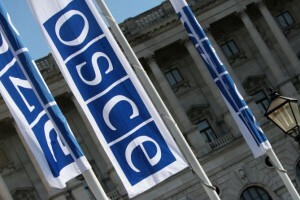 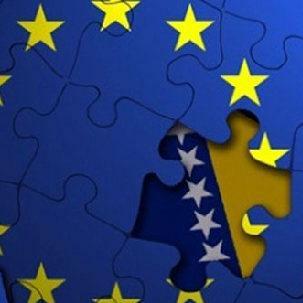 Sarajevo Open Centre will advocate drafting and adoption of a countrywide multiannual anti-discrimination strategy and action plan, which defines concrete and realistic measures on state, entity, cantonal and local levels to challenge discrimination against inter alia, LGBT people, in close cooperation with other civil society organisations.